Warm soft tights in wool. Flat seams, reinforced toes, hygienic gusset. Fashion leggings in 3D microfibre with comfortable band, flat seam and anatomic gusset. Fashion leggings in microfibre 3D with comfortable waistband, anatomic gusset and flat seams. Warm winter tights in cashmere. Flat seams, comfortable waistband, reinforced toes and cotton hygienic gusset. 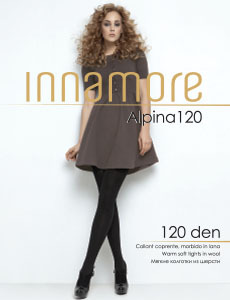 Warm winter tights in cashmere with flat seams, comfortable waistband, cotton hygienic gusset. Warm soft winter tights in cotton with padded cotton terry lining in body and sole. Comfortable waistband, reinforced toes. Warm soft comfortable tights in cotton. Flat seams, wide waistband, reinforced toe and cotton hygienic gusset. Warm soft low waist tights with cotton. Comfortable waistband, flat seam and cotton hygienic gusset. Warm cotton leggings with comfortable waistband, flat seams and cotton hygienic gusset. Warm soft tights in wool and cotton. Cotton hygienic gusset, flat seams, reinforced toes. Comfortable winter cotton tights, with fleece inside for extra warm. Wide waistband, hygienic gusset and flat seam. Comfortable winter cotton leggings with thermoeffect. Thermo fibre with fleece inside warms the body and keeps heat. Soft opaque tights with warm merino wool. Flat seams, comforrtable waistband, cotton hygienic gusset. Soft comfortable low waist tights in 3D microfibra. Wide waisband, comfort seam and anatomic gusset. Warm soft tights with micro modal. Flat seams, reinforced toes, hygienic gusset. Warm elastic tights with cotton and microfiber. The internal cotton creates comfort and the external microfiber assures perfect appearance. Wide waistband, flat seams, cotton hygienic gusset. Opaque tights in 3D microfibre. Wide waisband, flat seam and hygienic gusset. Soft comfortable low waist tights in 3D microfibre. Wide waisband, flat seam and hygienic gusset. Opaque microfibre tights. Wide waisband, flat seams and cotton hygienic gusset. Soft comfortable tights in 3D microfibre. Wide waisband and anatomic gusset. Warm soft winter tights in cotton, with all-throuh padded cotton terry lining. Comfortable waistband, reinforced toes. 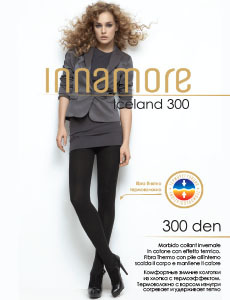 Warm soft comfortable tights in viscose. Flat seams, wide waistband, reinforced toes and hygienic gusset.